Golden, with a zesty edge and a bittersweet flavour, this is a delicious organic brew that is Soil Association approved. The organic honey in this beer gives a toothsome sweetness with popular appeal. For the ultimate refreshing drink, you can't beat it poured over ice with a thick wedge of fresh lime. 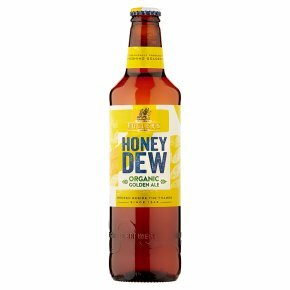 Organic.Honey Dew is the UK's leading organically produced ale, naturally brewed using organic honey, malts and hops. This creates a refreshing golden beer with subtle honey flavours balanced by a delicious zesty edge.